We Want to Make A No-Hassle Offer On YOUR Omaha House! Selling your property can be lucrative, simple and completely stress-free! 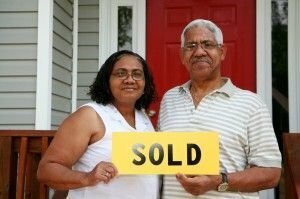 We are a team of professional home buyers, who want to make you a GREAT cash offer for your Omaha house. We have helped hundreds of people by creating win-win situations. A fast sale, at a great cash price, can be the solution in many situations. Being foreclosed on? We can help you stop the bank and save your credit. Getting a divorce? A quick sale might make things easier on everyone. Dealing with more repairs then you care to make? The recipient of a property through an inheritance and you don’t know how to handle it? Have a vacant house that you are paying taxes on? Tired of playing landlord to tenants who don’t take care of the home? Do you need to move because of work, family or other personal reasons? Why gamble when selling your house? When you work with us, you will get an honest and fair price and you will know your exact day of closing. There are no gimmicks and no hidden fees or charges. With us, what you see is what you get. We will work tirelessly to help make the transition easy and convenient for you. Listing your house can take months and cost you money. However, the world of real estate is changing. More and more sellers are discovering they can sell their homes on their own, without having to pay hefty fees or commissions. Instead of advertising and hoping, they can source buyers themselves. We are a direct buyer, and we will pay you a great cash price for your house! We buy as-is. We will cut you a check, and that’s it. You will not have to deal with any out-of-pocket expenses. To get started, simply fill out the form below. We will start researching your property right away! Do you want to get a great, all-cash price for your home? We can help you save your home from the banks! We can help if you have bad tenants! We can help if you need to relocate ASAP! Our transparent process will save you time, money and hassle!